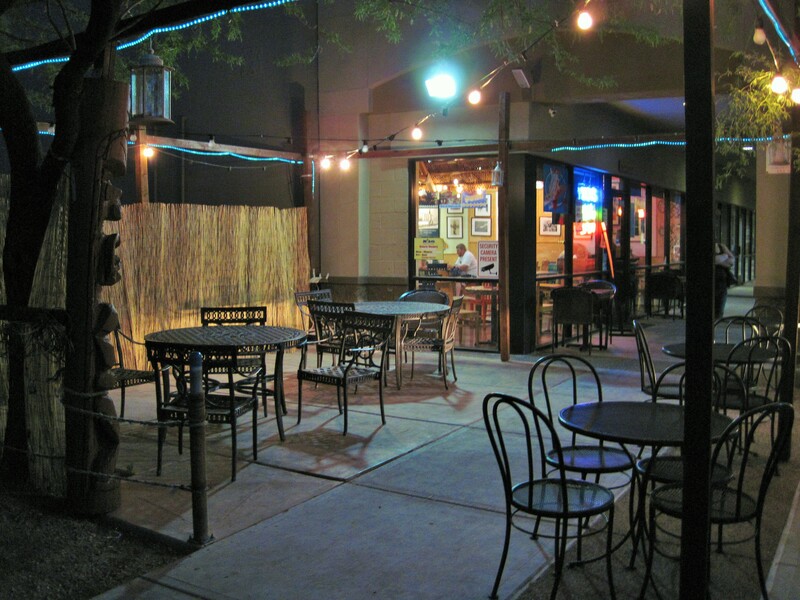 Moki’s, Mesa location is just North of Southern on Val Vista. 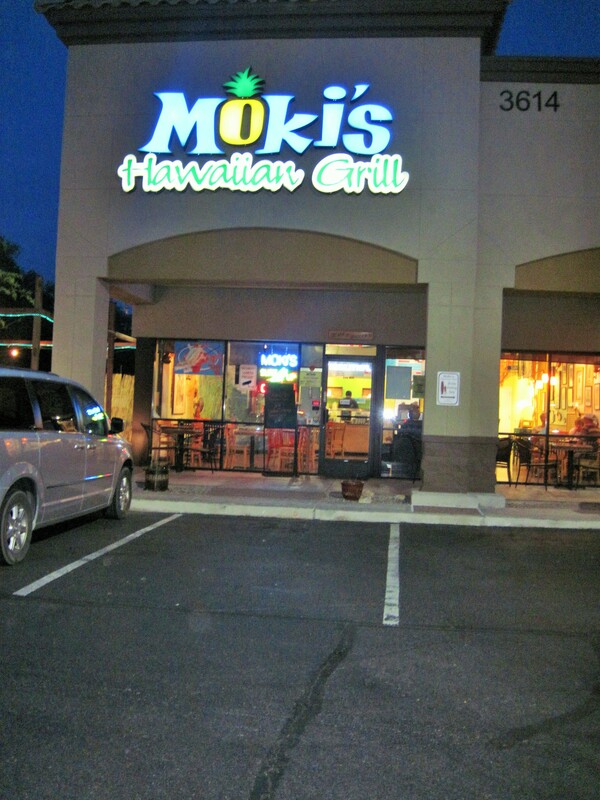 Moki’s Hawaiian Grill is family owned with another location in Salt Lake City, Utah. 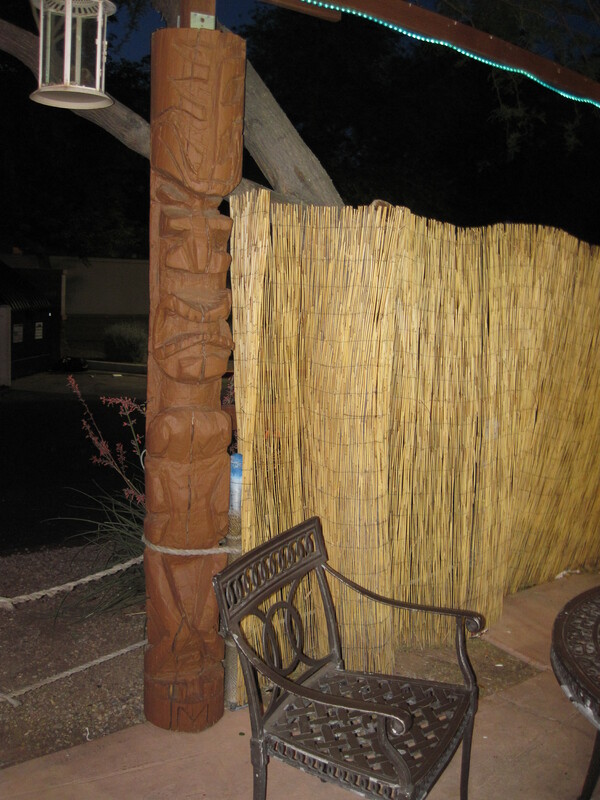 Outdoor dining just to the side of the entrance. 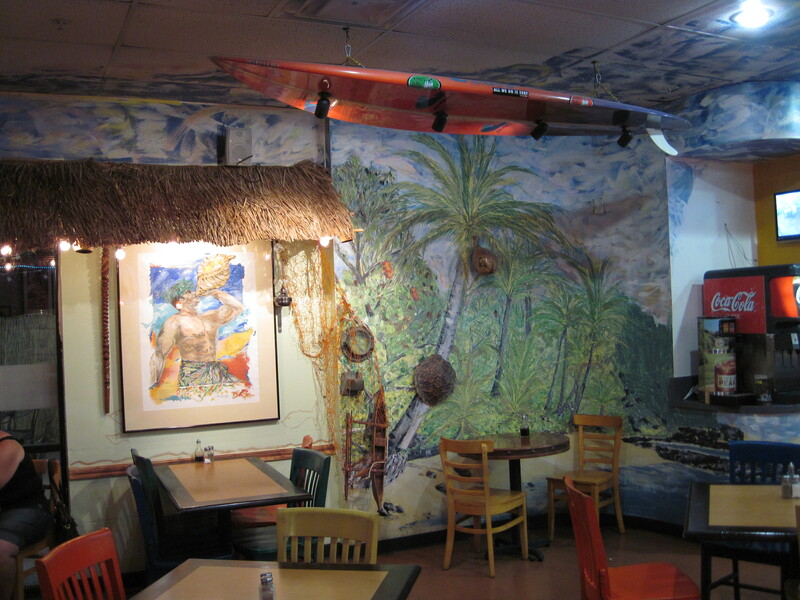 I was impressed with the island atmosphere as soon as you walked through the door. Casual island feel. 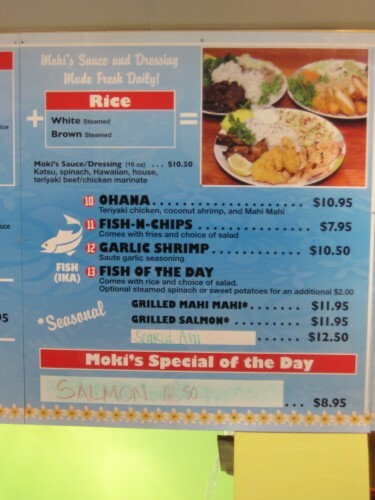 Local boi Duce Lutui made it to the big time. 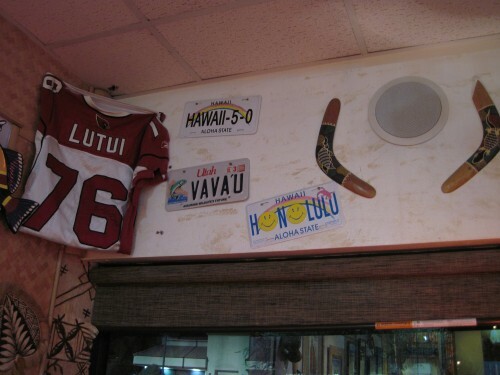 His NFL Arizona Cardinal Football jersey is displayed in the eatery. Watch out for the whirl pool. 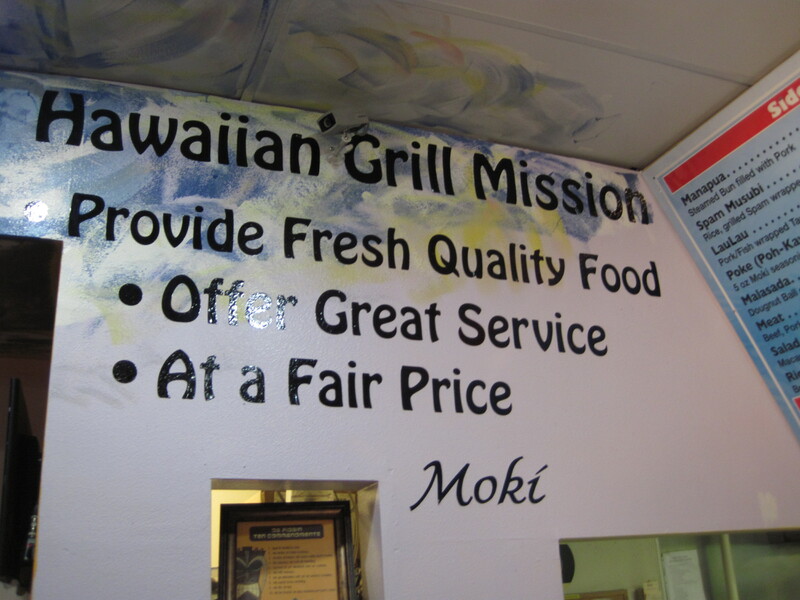 With the Grill’s Mission being stated, let’s get to it. 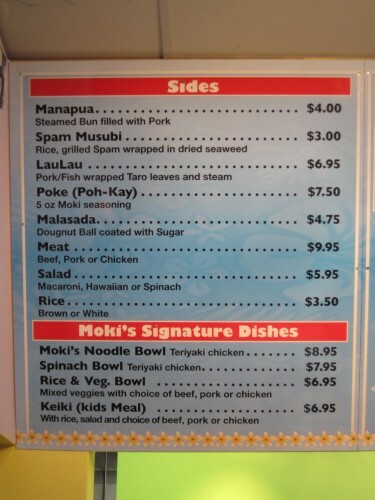 We’ve had Moki’s do some catering at one of our island parties and we as well as our guests were very satisfied with their food. 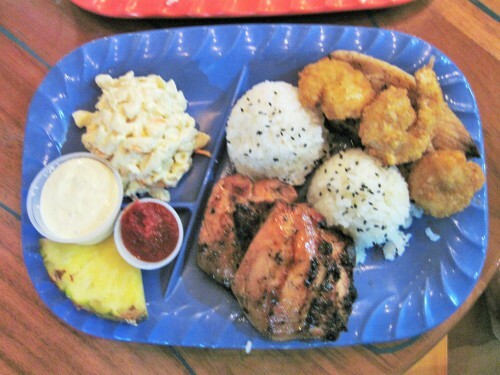 We ordered the Ohana (grilled Mahi Mahi, Teriyaki Chicken and Coconut Shrimp) Sticky Chicken below. 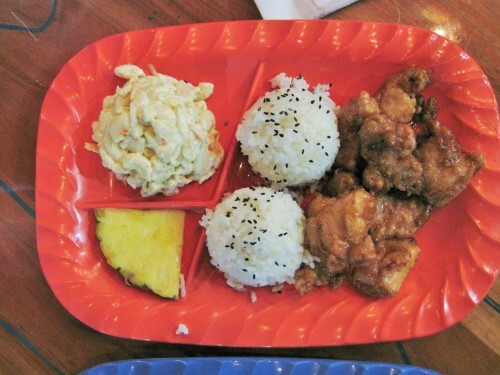 Portions were impressive and flavors will have us returning in the future. 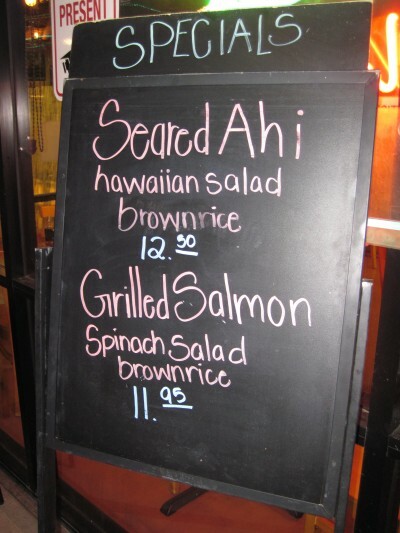 The meals were so delicious that we had to checkout Grandma’s Macadamia Chocolate Cake with Vanilla Ice Cream. 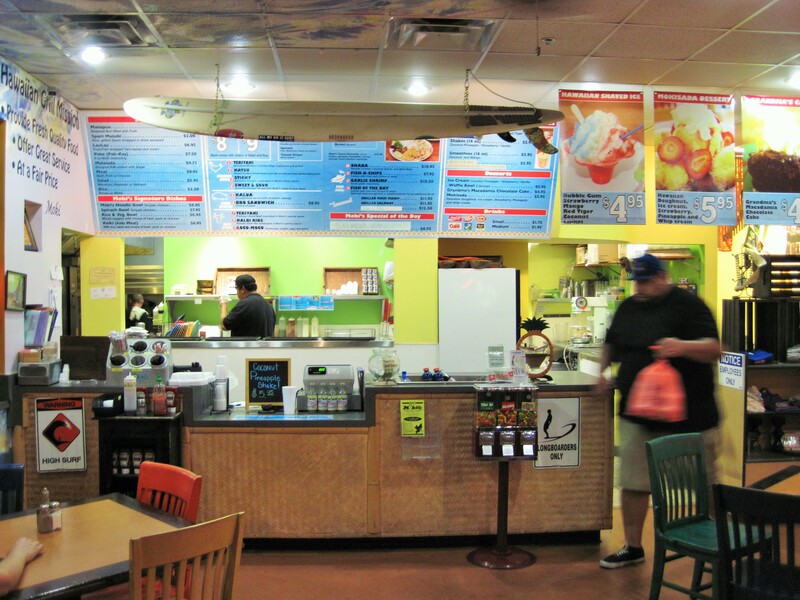 You get a choice of Coconut Pineapple, Vanilla, Chocolate or Strawberry ice cream. We ordered a little extra if ya know what I mean. 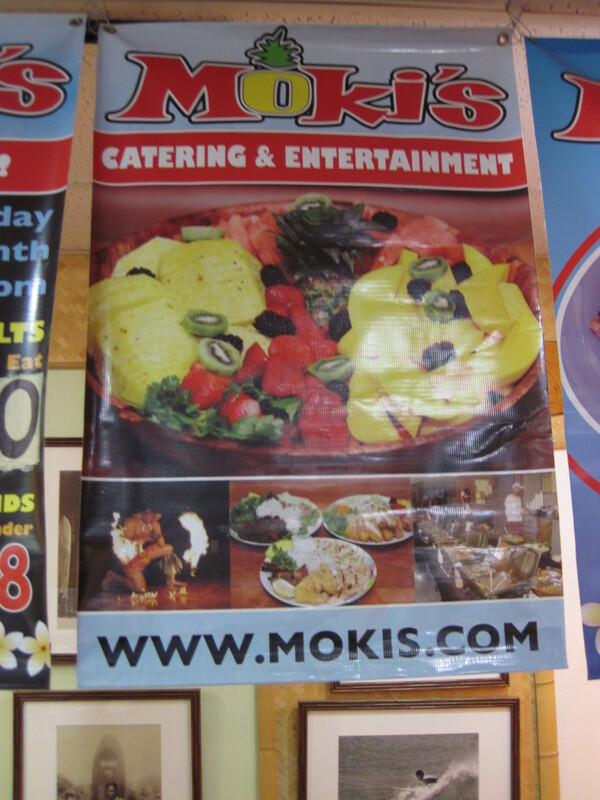 The cake was cooked on location and was very moist. The cake with ice cream and pineapple set it off! 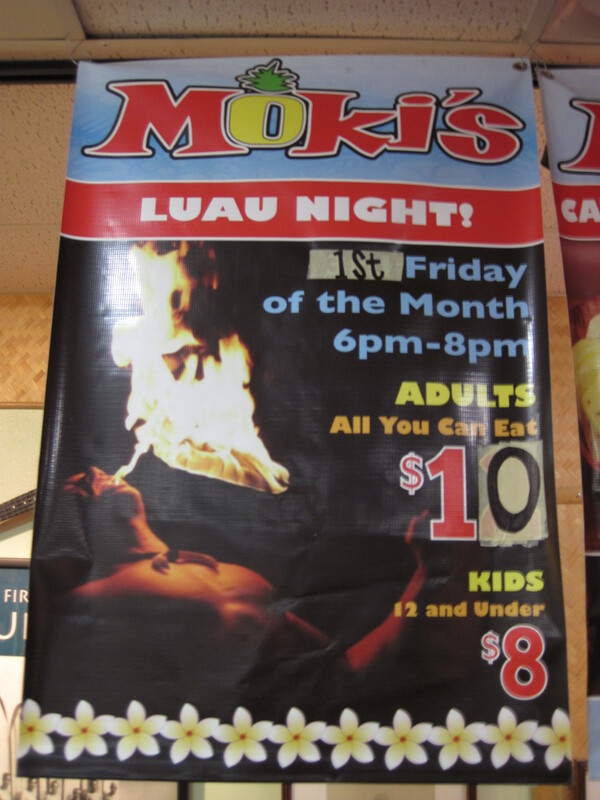 Moki’s has an all you can eat Luau Night on the 1st Friday of the Month. 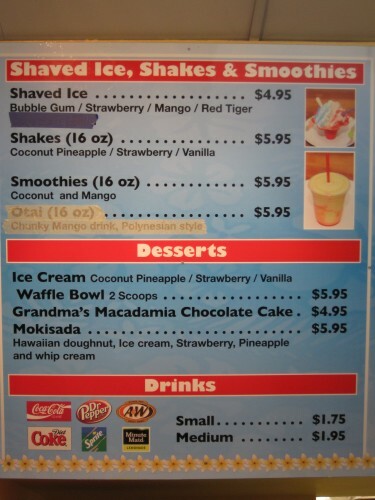 Adults are $10 and $8 for kids under 12 years. 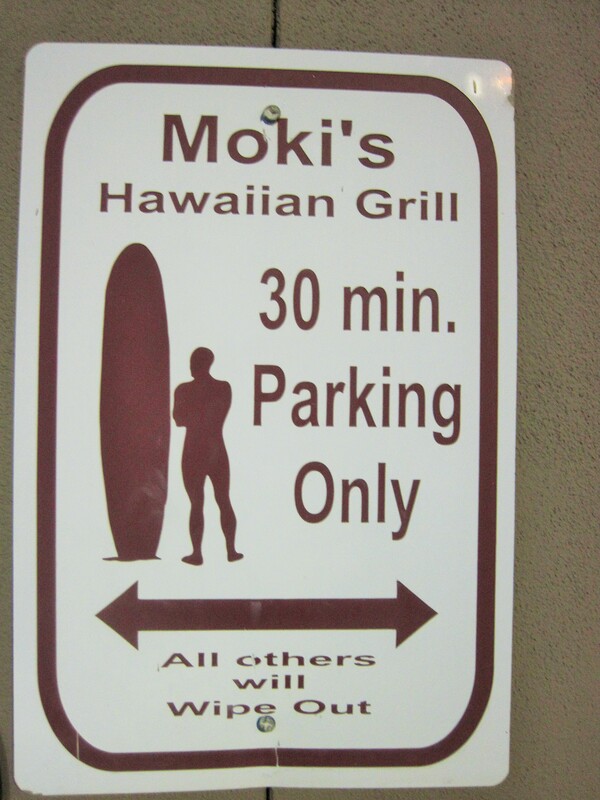 I was told that they get about 150 for the luau so get there early, lol. 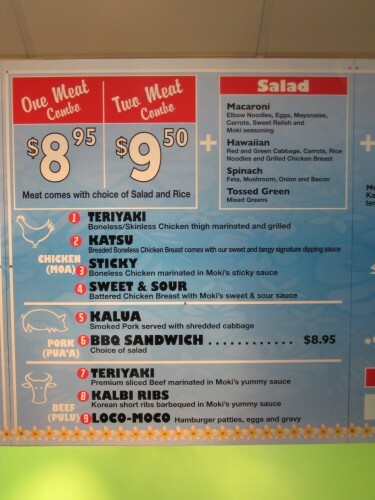 As mentioned earlier, the catering is impressive. 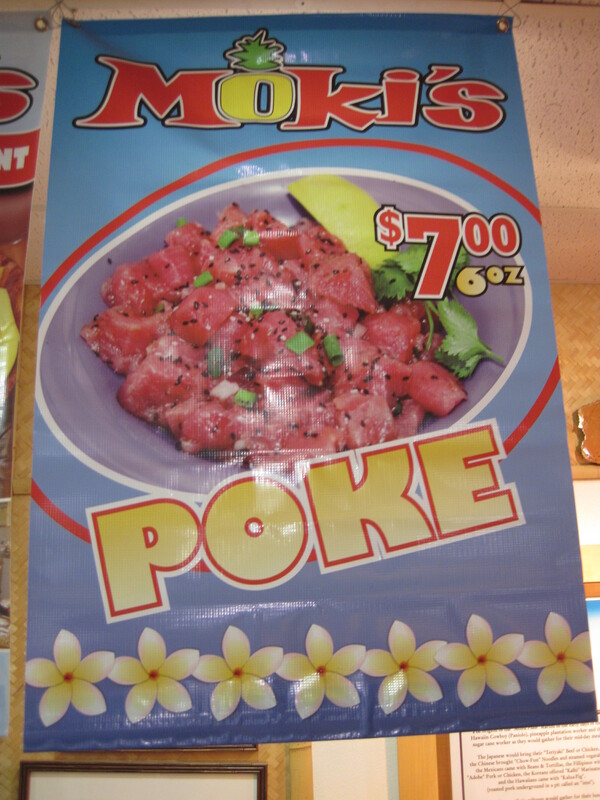 Another island favorite is also available on the menu for anyone craving Poke. 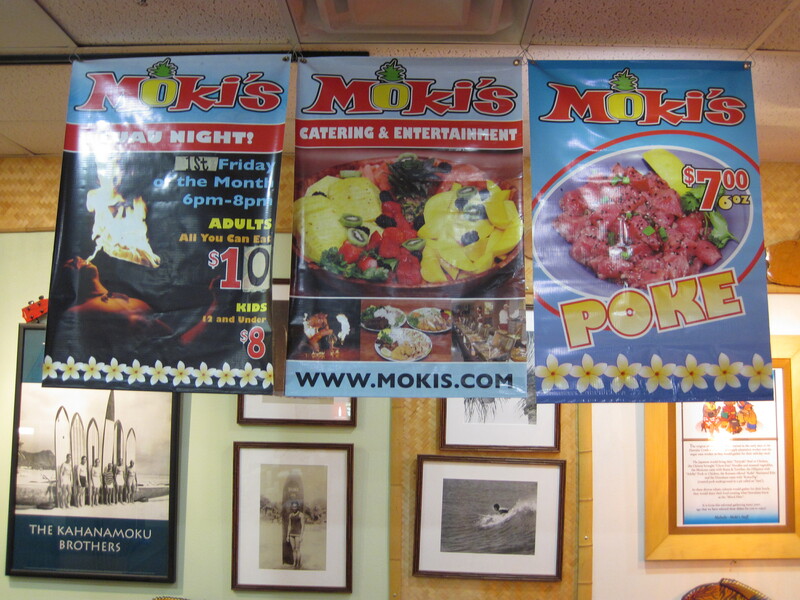 The casual island atmosphere, friendly customer service more than fair prices and fantastic island food will have you returning to Moki’s once you’ve tried it.